Gastric Ulcers are areas of damage to the lining of the stomach or intestines. Your horse naturally produces acid within the stomach to aid digestion. This is buffered by saliva which is produced when your horse eats. Domestication (i.e. stabling and restricted grazing) has reduced the amount of time our horses spend eating meaning that sometimes their stomachs are left for periods of time with no food in. This also causes a reduction in saliva production. The acid in the stomach is therefore not adequately buffered. Other factors like feeding large amounts of grain can also increase the acid production in the stomach. It is the acid that causes the damage to the stomach and intestine lining. 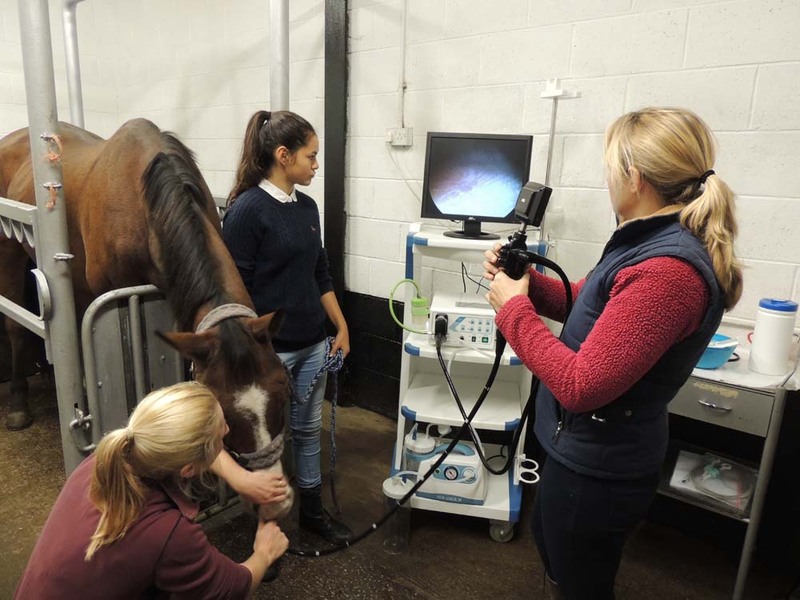 Gastric Ulcers affect around 37% of leisure horses, 60% of performance/competition horses and 90% of racehorses!! Diagnosis of gastric ulcers is made using an endoscope. This is a long fibre optic tube with a camera on the end. 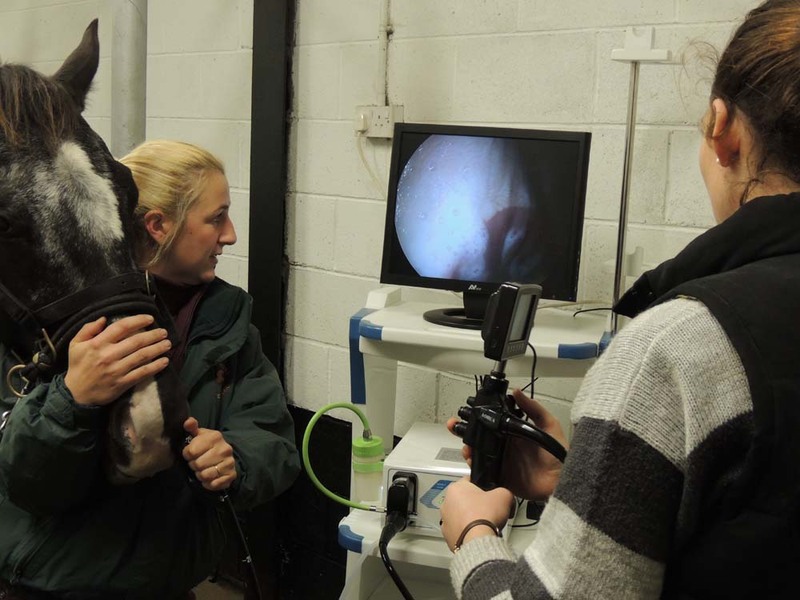 It is inserted up the horses nose, down it’s oesophagus and into the stomach where we can look at the stomach lining. We like to have patients stay with us at the clinic the night before their gastroscope as it is important they do not eat anything for 8h before the procedure. This ensures the stomach is empty allowing us to see the entire stomach lining. This is a picture of a normal stomach. The pale pink part is the squamous part of the stomach and the dark pink part is the glandular part of the stomach. The line between the two is the Margot Plicatus and is a common site for gastric ulcers to occur. This is a picture of a normal Pylorus. The pylorus is the stomach’s exit into the first part of the small intestine. It is also a common place to find stomach ulcers. Sometimes we see something unusual! The brown oval spot in the middle of this picture is a bot. There is no evidence of ulcers in this picture. 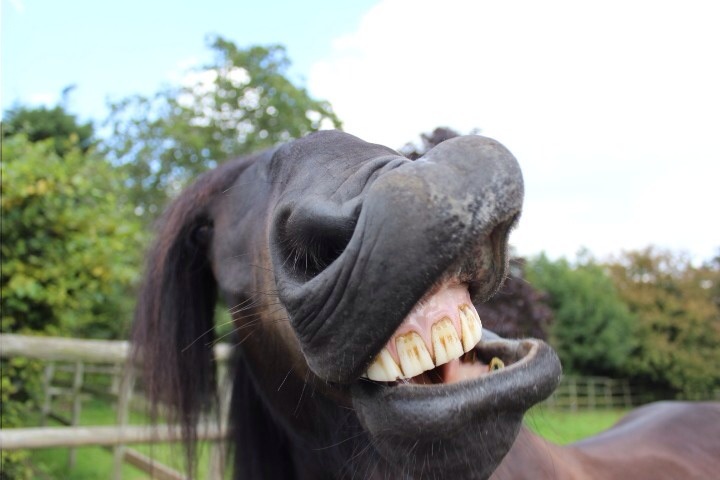 The horse was treated with an ivermectin wormer and sent home! The bot probably wasn’t causing any problems but was an unexpected finding! 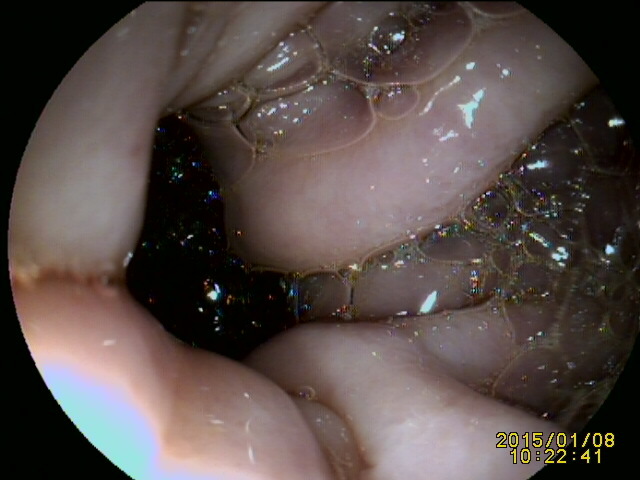 This is a picture of the entrance to the stomach from the oesophagus. The black tube is the endoscope entering the stomach. The lining of the stomach here looks normal. We have a grading system when we look at ulcers. 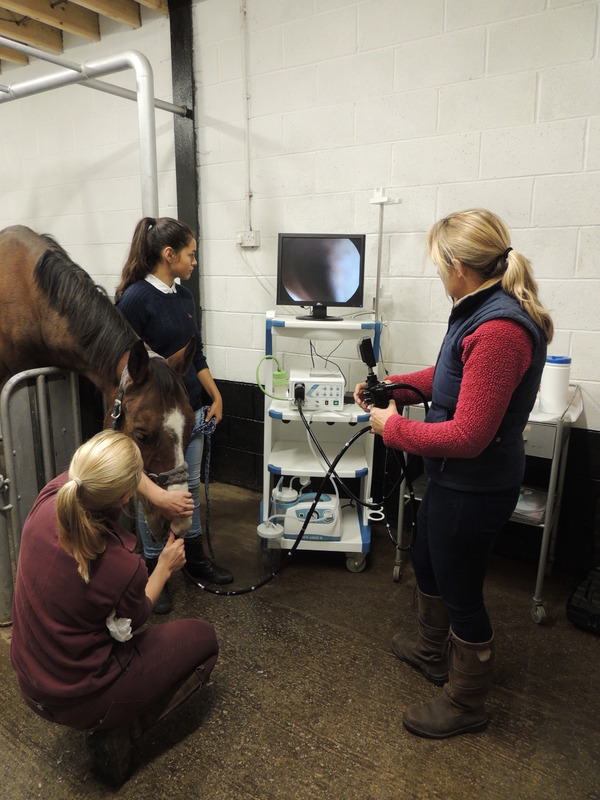 The different parts of the stomach are assessed and given a grade depending on the severity of the ulcers. Grade 0 – The stomach lining is in tact and there is no yellowing present. 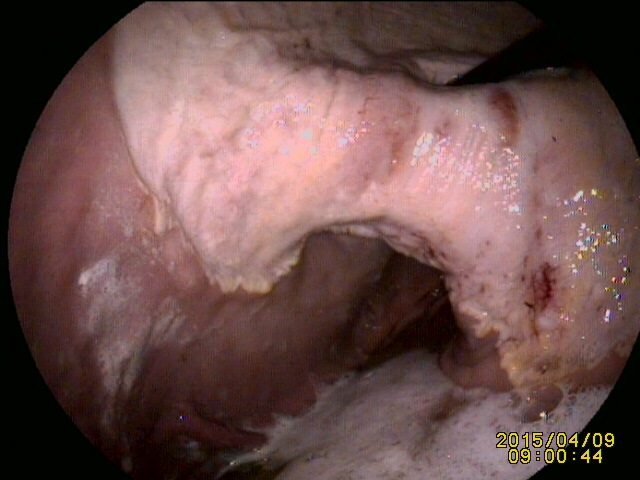 Grade 1 – The stomach lining is in tact but there are areas of yellowing. Grade 2 – There are small single or multiple superficial ulcers. Grade 3 – There are large single or multiple superficial ulcers. Grade 4 – There are extensive ulcers with areas of deep ulceration. This is the lesser curvature of the stomach. 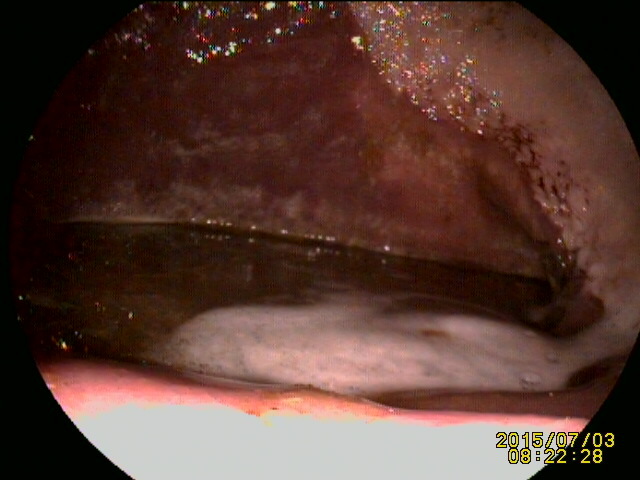 The black tube is the endoscope entering the stomach through the oesophageal sphincter. The dark red areas in this picture that are within the squamous part of the stomach are the ulcers in this picture. These would be grade 4 ulcers, large deep ulcers within the lining of the stomach. This is a picture of an abnormal Pylorus. The pylorus is the stomach’s exit into the first part of the small intestine. The small yellow/brown circular stains are the uclers. These are mild ulcers and would be grade 1. The lining of the stomach is in tact but there are some areas of yellowing. This is also a mild case of ulcers. They are grade 1. The yellowing of the stomach lining is the damage but the mucosa is still in tact. You can see some dark red speckles along the line (Margot Plicatus) between the two sections of the stomach (glandular and squamous). These are the ulcers. There are several superficial ulcers and so are grade 2 ulcers. We treat stomach ulcers with a drug called omeprazole. Omeprazole reduces the amount of acid produced by the stomach. We also recommend some management changes. 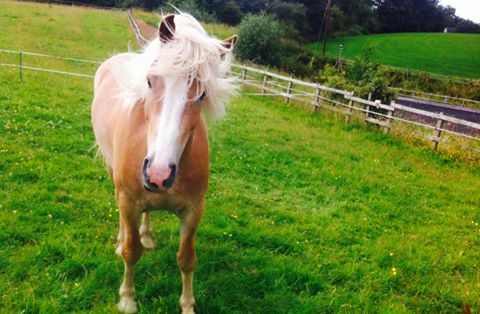 It is important to make sure you horse doesn’t go for long periods of time with no feed. Therefore increased turnout and ad lib hay while in the stable are advised. Also feeding a small amount of hay or feed before riding to soak up the stomach acid will help. This will reduce the amount of acid splashing up at the walls of the stomach while riding.